Open from the early hours of the morning, Caffè Portofino, offers an hearty breakfast with excellent traditional croissants, inviting cocoa Muffins with pieces of chocolate or white slurry with chocolate chips and a wide and tasty choice of cappuccinos and special coffee of the best selected mixtures. Coffee is an all Italian delight, which, in a single cup, captures a concentration of strength, passion and taste that brings back memories of the warmth of distant countries. This is really well known in Caffè Portofino, therefore, it offers its costumers several varieties of coffee that range from purely classical to coffees for the gourmand. For breakfast you can order several kinds of coffee, from espresso to double, to caffè d’orzo, a typically Italian hot drink made from ground barley, up to a warm and inviting cappuccino which gladdens the winter mornings. Closing the assortment are cold espresso, Irish coffee and caffè corretto, an espresso enriched with a drop of a spirit. In summer, breakfast is not missing the cold coffee, a glass of fresh latte, cold cappuccino and, for the more dainty and lovers of sweet tastes, coffee with fresh cream and chocolate. To cool a warm morning in July, Caffè Portofino offers various soft drinks, iced tea and various fruit syrups. The classic croissants to accompany your coffee during breakfast are friable, tasty, and bring to memory the ancient flavors of tradition with the addition of jam or chocolate cream. 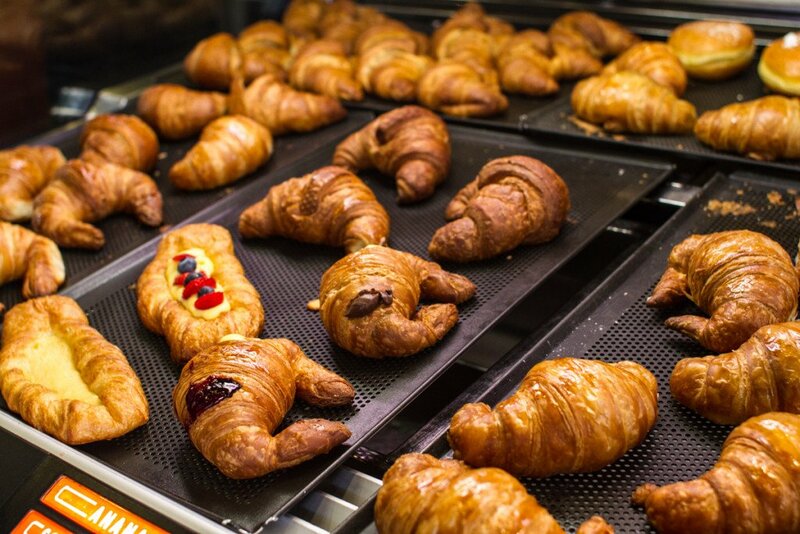 The choice is wide and caters to all tastes: the croissants are filled with red and yellow jam, but also with chocolate and walnuts or wild berries jams. Caffè Portofino also cares about the most demanding customers who want to keep in shape and enjoy taste, preparing whole-wheat croissants with honey for a light but nutritious breakfast. Caffè Portofino always has a great assortment of fresh fruit of first quality. This means that we can always create personalized healthy and light snack. The possible flavors span from orange, typical for winter, to those for summer time like peach, strawberry, red fruit, pineapple, tomato and many others. For lovers of the wellbeing, the right juice choice is pomegranate, healthy, fresh, rich in vitamins and with a distinctive taste! 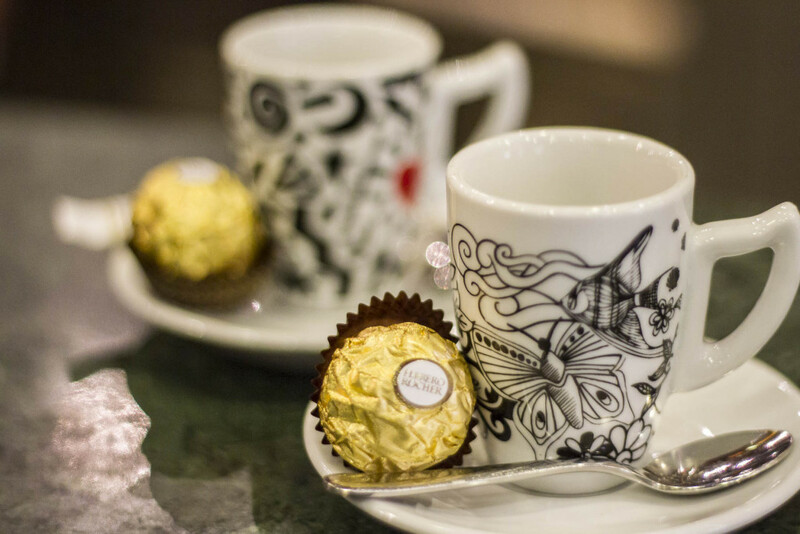 At Caffè Portofino you can also find a wide selection of teas and tisanes from around the world and appreciated by enthusiasts of these beverages. During a winter walk in the area, there is nothing better than finding refreshment at Caffè Portofino drinking tea or a herbal tea along with a biscuit or a chocolate. In addition, any beverage consumed can have the aftertaste desired by the customer thanks to the assortment of flavored sugar Caffè Portofino offers.